Walmart drivers, loaders, unloaders, maintenance technicians, and transportation managers help get millions of products where they need to go. Innovairre is the worldwide leader in fundraising, supporting agencies and nonprofit organizations. The West Liberty Foods Mount Pleasant plant is an 85,000-square-foot facility that is used for slicing cooked cheese, turkey, chicken, beef, pork, and other products. 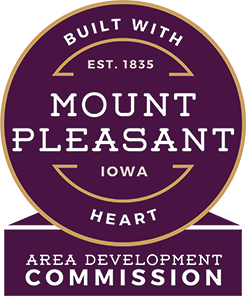 The Mount Pleasant Community School District is the thirty-sixth largest in Iowa. An enrollment of approximately 2,050 students, the district operates one regular comprehensive high school, one alternative high school, one Middle School and four elementary schools. Continental Contitech is one of the leading suppliers of technical rubber products and is a specialist for plastics technology. As a premier manufacturer of custom-engineered metal buildings, Ceco/NCI Building Systems is the only major metal building manufacturer to offer furnish and erect services providing customers with a single point of contact for the entire building package. The Henry County Health Center was established in 1921. HCHC is a 74-bed facility, featuring 25 acute care beds, along with our 49-bed long-term care facility, Park Place. MackayMitchell Envelope Company utilizes a collection of innovative envelope openings, state-of-the-art printing and unique embossed textures to make envelopes. The Mount Pleasant Correctional Facility was established in 1976 as a temporary unit to hold 144 offenders. In 2016, MPCF was reclassified as a minimum secured facility with a focus on preparing offenders for re-entry to the community. From humble beginnings as a small discount retailer, Walmart has opened thousands of stores around the world. Through innovation, they have created a seamless experience to let customers shop anytime and anywhere online, through mobile devices and in stores. Lomont Molding LLC is one of the premier plastic molders in the country. Founded in 1982, their state of the art 150,000 sq. ft. facility is located in Mount Pleasant with other locations in Reinbeck, IA and Georgetown, TX. Iowa Wesleyan University is a fully accredited, coeducational liberal arts university. Founded in 1842, it has a rich history of innovation in education, pioneering in the sciences, educational opportunities for women and service-learning. 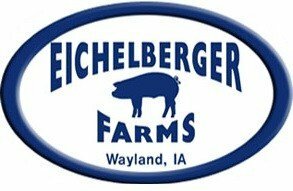 Eichelberger Farms, Inc., is a family owned and operated business producing pork in Southeast Iowa. Eichelberger Milling, Inc. purchases grain from local farmers to be used in producing feed for Eichelberger Farms. Jabil offers precision injection molding, thin-walled, tight-tolerance molding, and in-mold labeling (IML) for customers in the plastics industry. The site also specializes in innovative, custom packaging solutions.